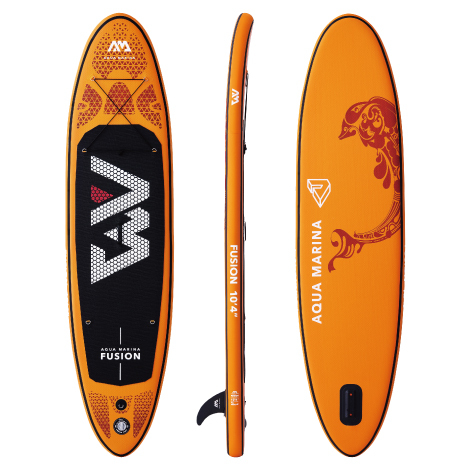 Q Watersports - Aqua Marina Fusion SUP, become a dealer! 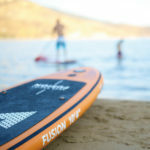 The Fusion is the ultimate transportable flatwater – to – wave crossover. 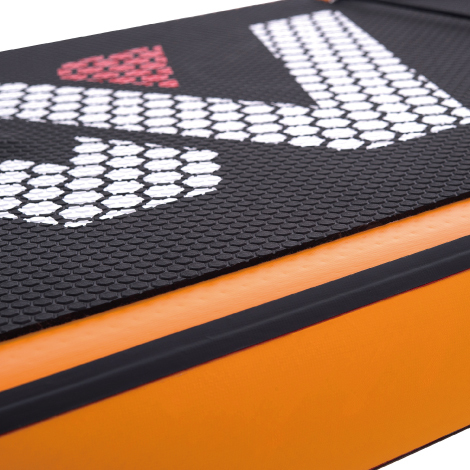 Extremely user friendly. 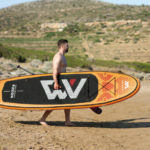 Features a 330 cm with 15 cm thickness, it’s a dynamic board for flat water fun, fitness and exploring. The extra thick board and balanced design suits lightweight or heavier rider. The Aqua Marina SUP is made of a durable PVC sandwich interior. 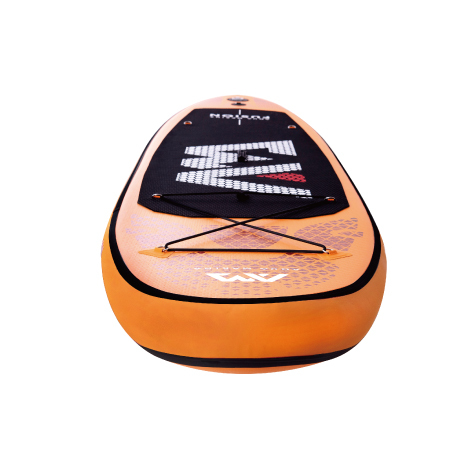 The SUP has a convenient carrying handle and in front acargo net to carry stuff. 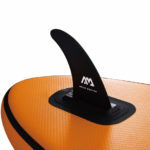 The standing section is finished with a soft non-slip and this board is equipped with a detachable fin for course stability. The ISUP is inflated to an air pressure of 15 psi. 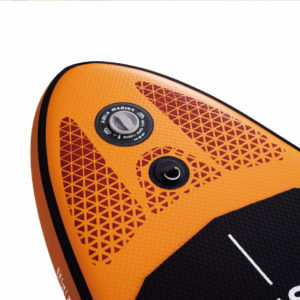 This provides a good performance on the water. Easy to inflate with the Aqua Marina high pressure pump with pressure gauge. 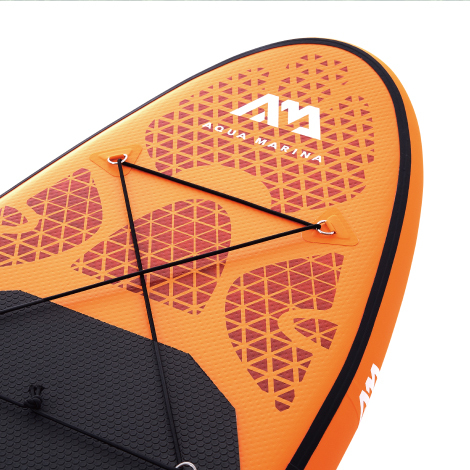 The ISUP is standard delivered with hand pump, bag and aluminum paddle.